its been a really hard morning, for no particular reason other than you have to say everything at least 5 times before anyone even thinks about doing it, the fridge is empty and you’ve got more work to do than time to do it? A really good cup of tea can make everything better. 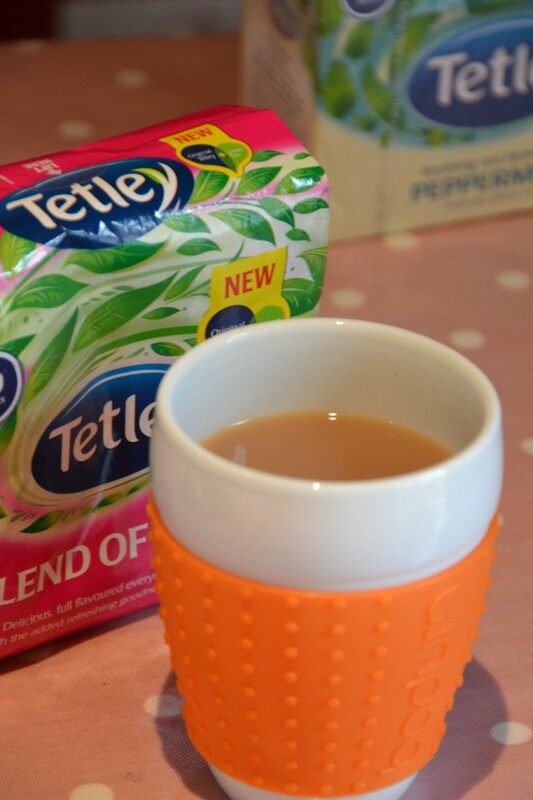 This is new Tetley Blend of Both, which tastes just like real tea, but has all the health benefits of Green tea. I was a bit skeptical at first, but it really is rather nice. I received a box of Blend of Both free of charge to try. Oooh, and have you submitted it to justmycupoftea.com???? We have those mornings every day – and they last all day at the moment. Not sure a cup of tea would cut muster! Actually Mummy… recently posted..Restaurant Critic: Wot So Funee?